Mel is the spawn of alien-human genetic experiments. He (I mean me, it is so confusing!) is seemingly human minus a few social graces. He lives to travel, ride his bike(s) and explore the outdoors. Based in Moab UT and Ontario Canada,Mel has spent more than a decade riding, writing and publishing mountain bike guidebooks and free-lancing for magazines under a silly human pseudonym. He spends his time travelling to check out trails and "getting lost so you don't have to". Mel holds the dubious achievement of once owning a vehicle worth 1/15 the value of his bike. He is the self-proclaimed dispenser of "more riding tips than the Kama Sutra" and the owner of a spectacular list of injuries. 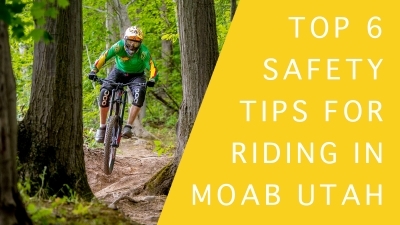 6 Bike safety tips for riding in MOAB, Utah. Physical difficulty comes from mileage, amount and difficulty to climbs, and severity of trail surface. Technical difficulty comes from the number and degree of obstacles, and bike handling skills required. "Fear Factor" comes from the amount (and degree) of scary stuff. Basically, this comes down to exposure to cliff edges, nasty rock drops, and severity of slope of grade. Rider Mel's favorite Moab rides! These make me feel all warm and fuzzy. Off-road fun for the whole family. Not too tough, but pues of fun. Second ride of the day? Wander-around the desert for 40 years kind of riding. Likely to prompt visions of GOD or epiphanies (like "what the hell was I thinking?"). Body armor recommended. Sotsa speed and air, not so much climbing. Wear lycra at your own risk. "Cool" facial hair mandatory. 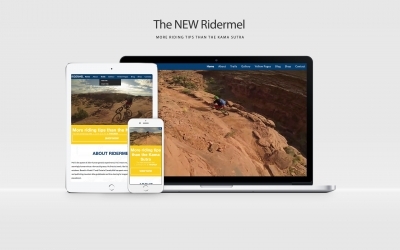 If you frequent our website, you'll know that it's been freshened up a little. With a much more pleasant look and feel you'll now be able to find what your looking for even faster! We've hired Niagara Web Design's very own HWD to completely overhaul our old website into this master piece.